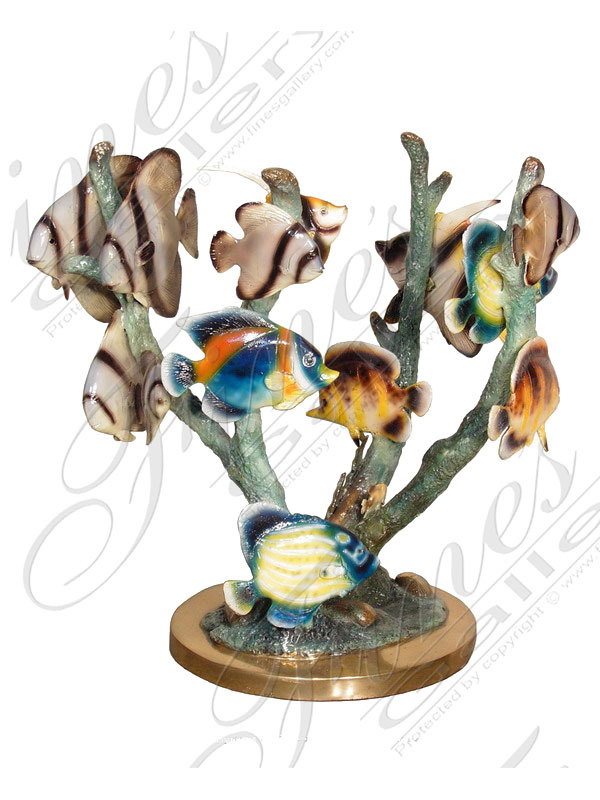 Colorful tropical fish swim and play amongst coral. 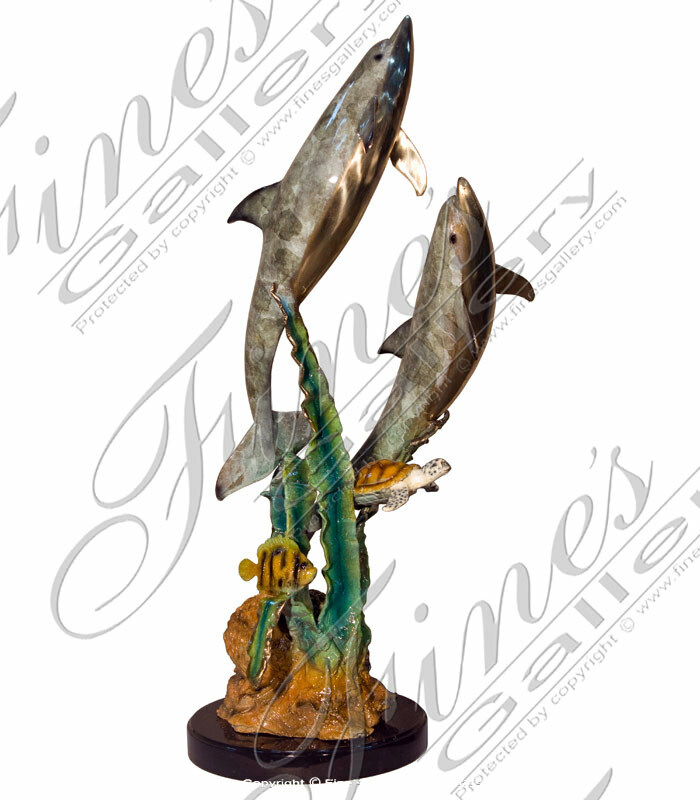 Contact the gallery for personal sales assistance. 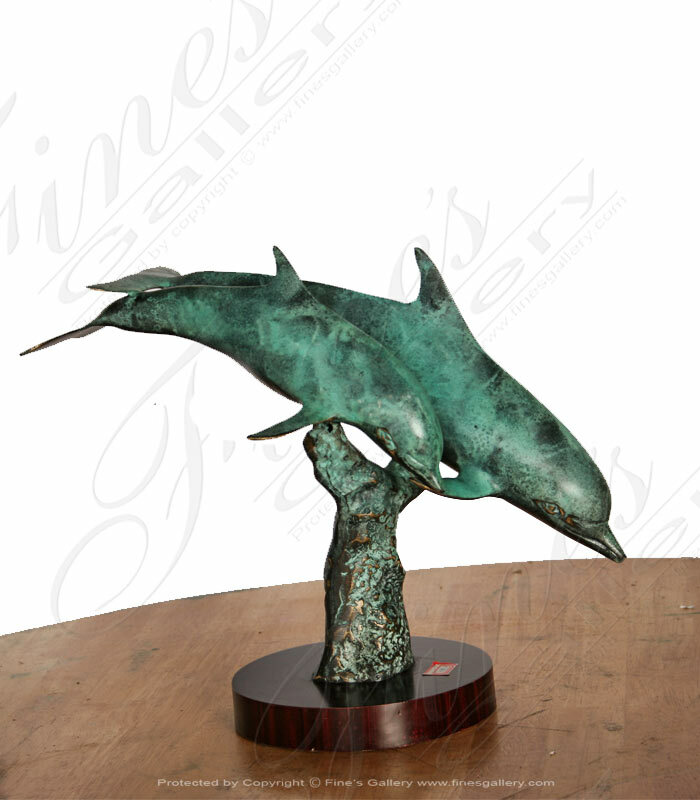 This beautiful bronze dolphin statue feature a scene that depicts the bond between mother and baby. Dolphin calves stay with their mothers for several years taking milk for up to 5 years. 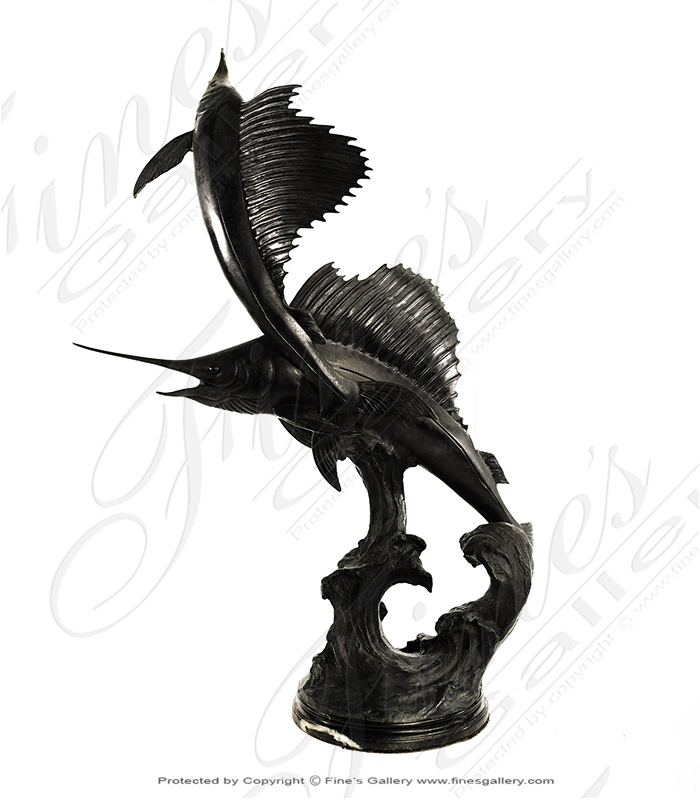 This beautiful bronze swordfish statue is a beautiful desktop statue and will be the perfect ornamental decorative choice. 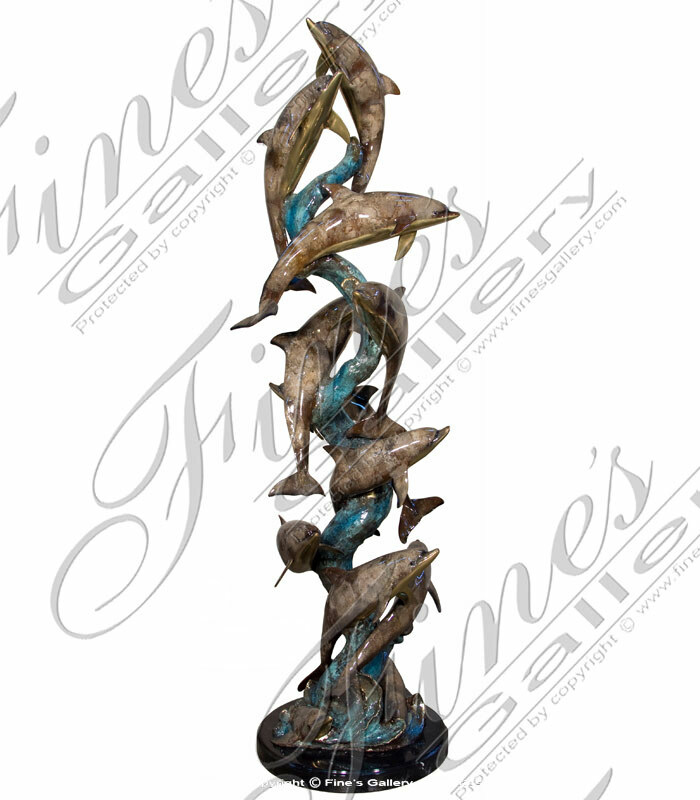 Intricate detail throughout, artistically designed and cast in beautiful bronze.Onlycomes in a green patina finish! 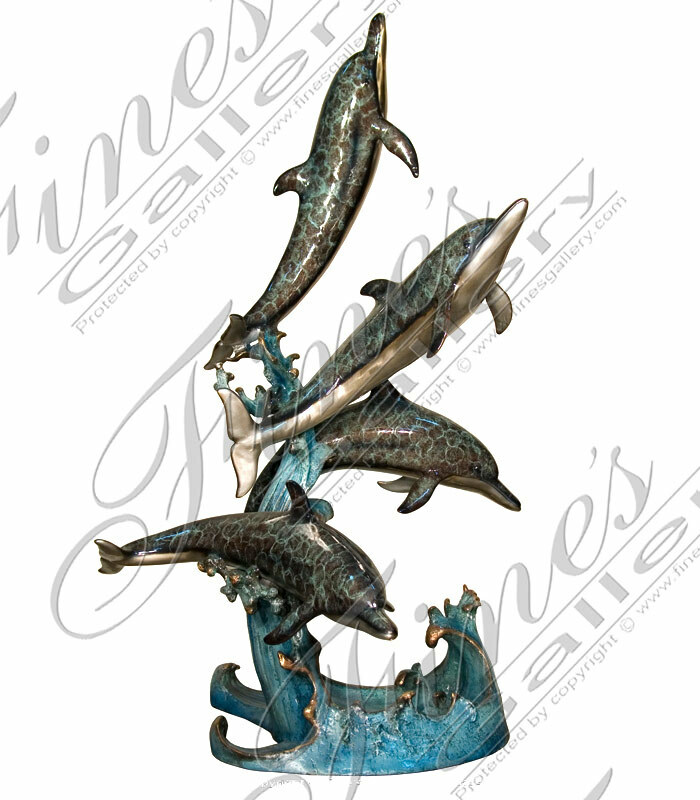 This beautiful ocean themed bronze statue is cast in beautiful bronze. 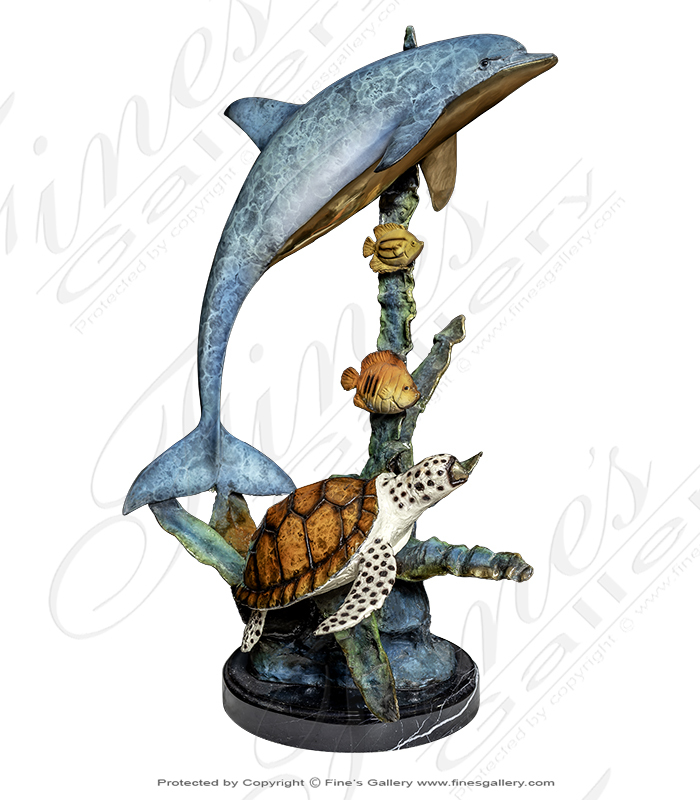 An excellent depiction of two dolphin swimming beneath the waves. Contact us today for additional information. 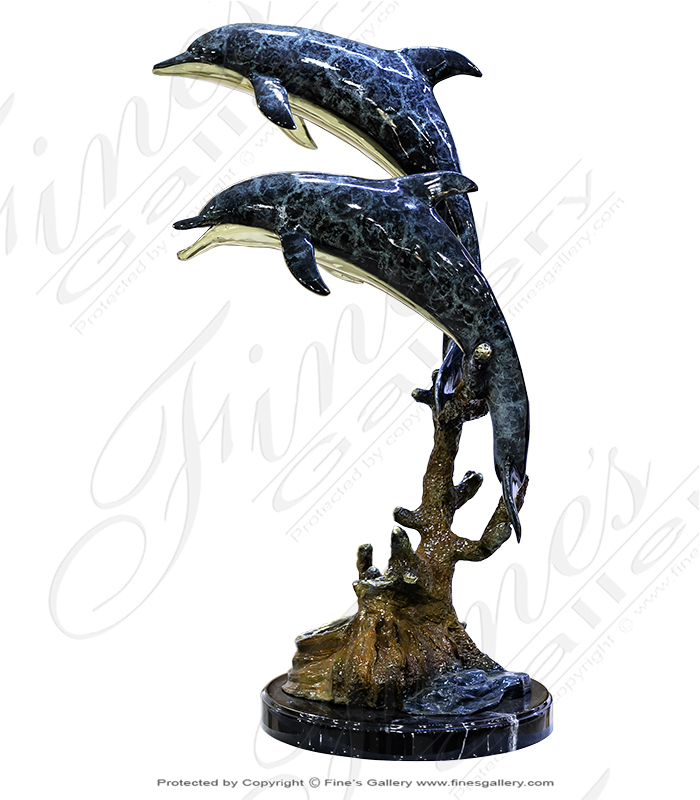 Five Dolphins sclupture in brilliant blue bronze finish includes nero marquina black marble base. 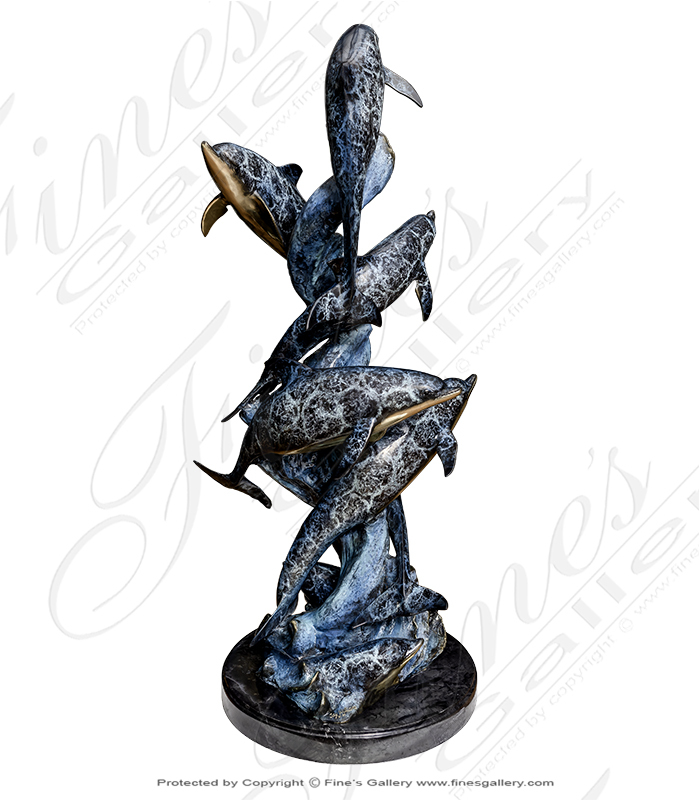 Fines Gallery offers an array of matching onyx, marble and granite bases to accomodate any of our fines sculptures.